... And henceforth renamed Hansbrough Indoor Stadium by Carolina fans, circa 2005-2008. 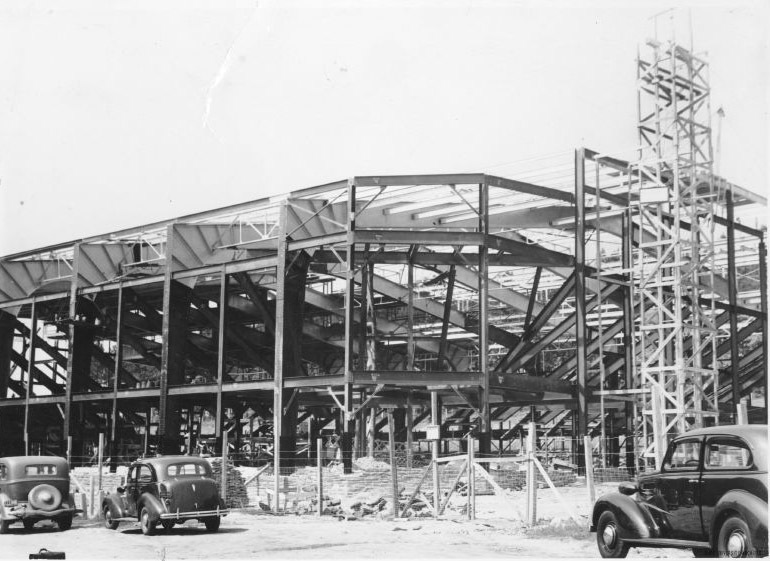 Like the rest of West Campus, the Indoor Stadium was designed by Julian Abele of the Hoarce Trumbauer firm in Philadelphia. 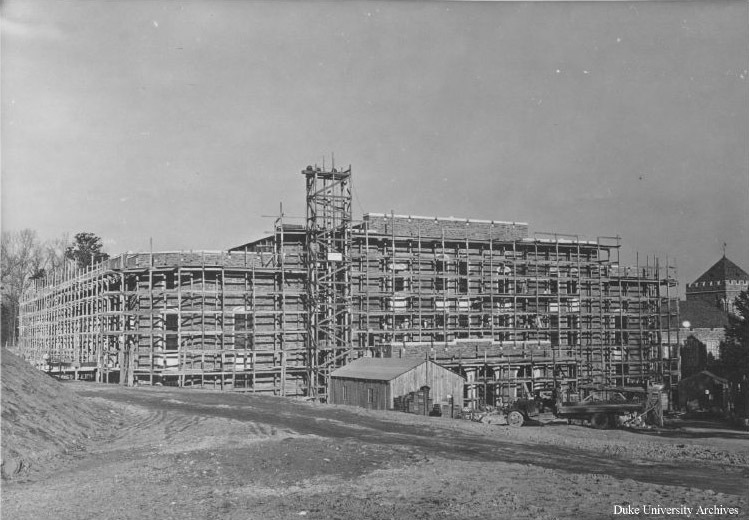 Legend has it that the basic design was sketched on a matchbook by Eddie Cameron and Wallace Wade in 1935. 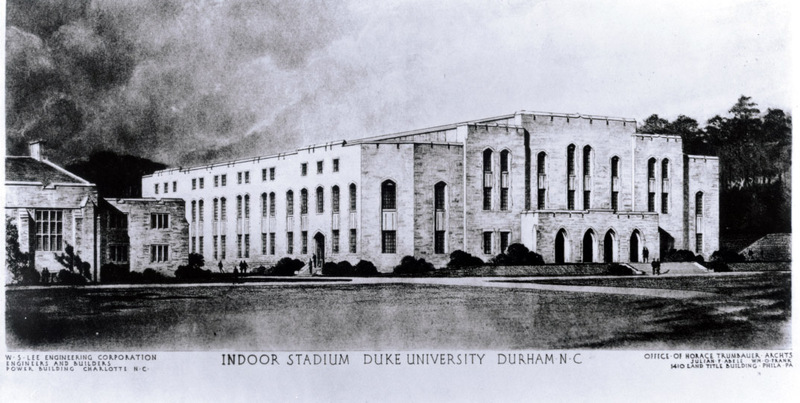 It became the new home to the no-longer-Trinity-but-now-Duke basketball teams, far outstripping their previous homes in the Angier Duke Gymnasium and the Alumni Memorial Gymnasium. 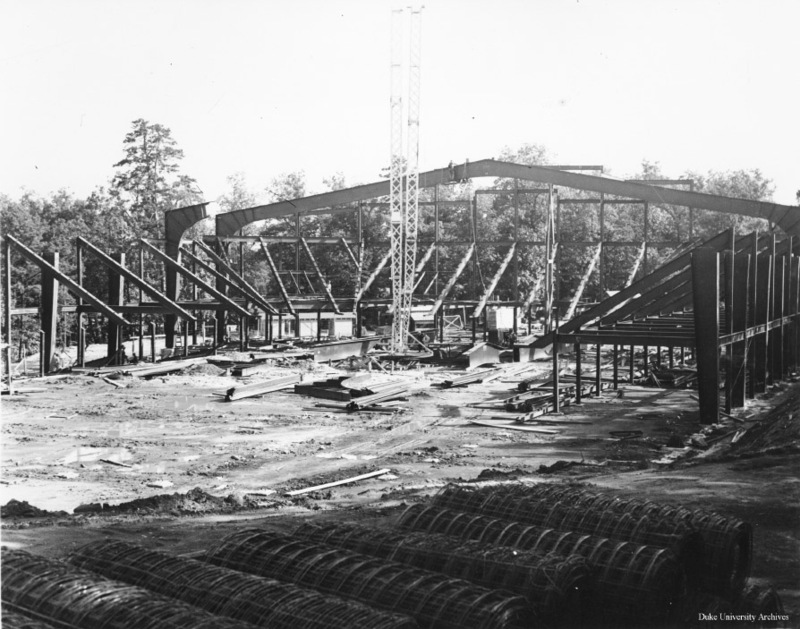 The stadium was dedicated on January 6, 1940. 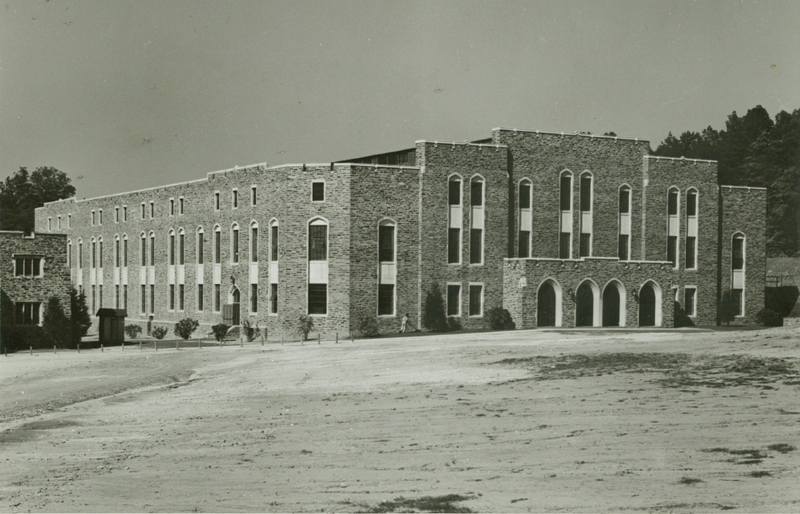 The Indoor Stadium was named after Coach Eddie Cameron in 1972.